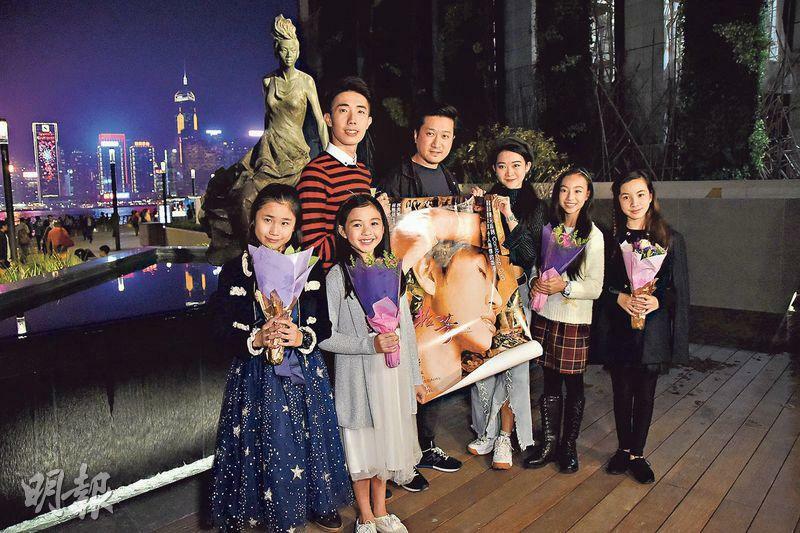 The Avenue of Stars recently opened again and the Anita Mui Yim Fong statue was moved to its new location, next to it was the Andy Lau Tak Wa calligraphy plaque "Hong Kong Daughter Mui Yim Fong" for tourists and Mui fans to take photos with. 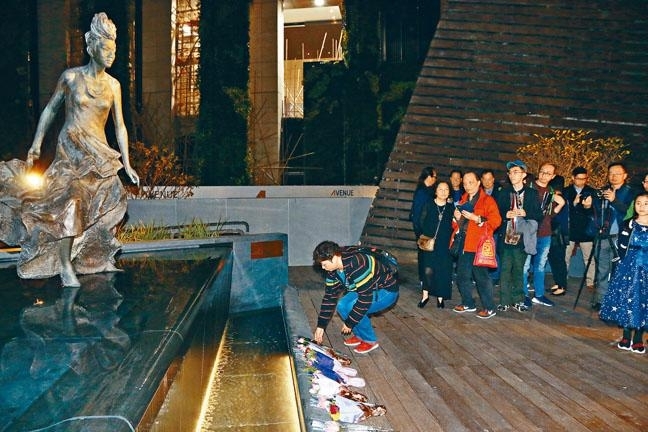 Around 30 Mui Nation directors and fans two nights ago presented flowers and sang at their idol's statue with the film DEAREST ANITA...'s director Pako Leung Pak Ho, actor Paris Wong Wing Kit and Yuki Fong Wai Ying. They even sang WOMAN OF SONG to salute her. Leung Pak Ho at first praised Sister Mui's statue location for having the Victoria Harbor scenery behind it, later he realized that the public restroom was directly across from it. He said, "The arrangement is a little special, imperfect. (Did the government arrangement not pay enough attention to details?) I don't know how the authority handled it, but overall it's OK, with the flowing water design like her song YEARS FLOW LIKE WATER. Originally I wanted to use the song for the movie theme song, but due to copyright issue and another film's previous usage I changed her mind. I hope to have a chance to make movies about Sister Mui, express different sides of her. Aside from how amazing her on stage singing and dancing were, she also cared about the community and loved her fans. Through real stories Mui Fans would be able to learn more about their idol; unfortunately it would require timing, location and finding investors to happen." Once Wong Wing Kit found out about the role he immediately went back to enjoy all of Sister Mui's movies and songs. The most memorable was the film THE HEROIC TRIO (DONG FONG SAM HUP), he watched it like crazy for at least 10 times. The 25 years old Fong Wai Ying did not know much about Sister Mui but after taking part in the film she had more knowledge about Sister Mui and her true nature.